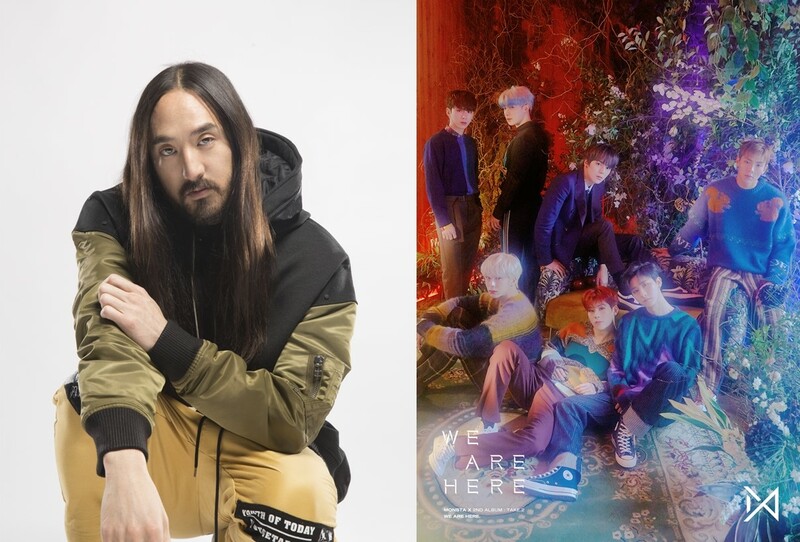 World renowned DJ and producer Steve Aoki, recently posted a message on his social network said, `The English version of `Play It Cool' will be released this Friday,'' Monsta X also retweeted the article on their official SNS channel and confirmed the release of the English version. The song is on the second part of Monsta X's second full-length album, "TAKE.2 WE ARE HERE," which was released last month, and DJ and producer Steve Aoki has enjoyed worldwide popularity after crossing Billboard and Grammy, has made headlines. The English version of Play It Cool is expected to be released on Friday, the 22nd, in the United States, and Saturday, the 23rd, in Korea, on music sites worldwide. Monsta X released their first part of its second full-length album, "TAKE.1 ARE YOU THERE?" in English version of its title track "Shoot Out?" and has won the top spot on iTunes charts around the world, and has drawn keen attention from leading foreign media including Billboard and Metro in the U.S. So based on this, The new English song "Play It Cool" by Monsta X is already looking forward to how it will react to music fans around the world. The English version of the collaboration song "Play It Cool" with Monsta X and Steve Aoki will be released on music sites worldwide on 23 in Korean time.